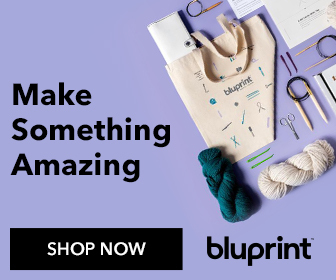 The cutest holiday sewing pattern on the web is free… Sew adorable Christmas gnomes to cheer up every room in your house! One of our family’s holiday traditions is baking a sweet Swedish bread braid to share Christmas morning. One of my great grandpas came from Sweden (almost catching a ride on the Titanic!) and opened his own bakery. This year, I have been trying to embrace our Scandinavian heritage even more by decorating with Gnomes! A Swedish gnome (like this little guy) is also called a tomte. After that, feel free to use felt, fleece, flannel, quilting cotton, minky, or home decor fabrics for the rest of him - raid your scrap bin! Download the free Christmas Gnome Pattern here. The downloadable pattern includes brief instructions. My step-by-step photo tutorial is below. Use a 1/4’’ seam allowance throughout. Press the seams open, where practical (with cotton it would be, but not with minky or knit fabrics). 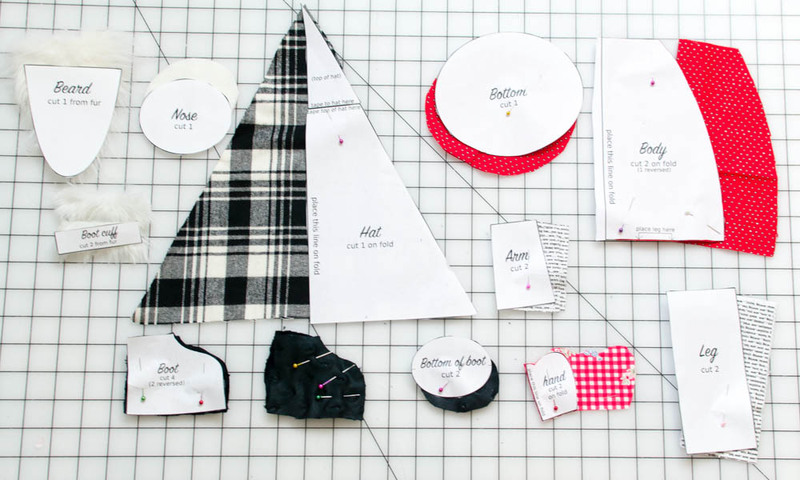 Cut fabric pieces from all of the pattern templates, as instructed on the templates. note that the hat template was too tall to fit on one sheet of paper, so you need to tape it together where indicated. when cutting the fur, trace the pattern on the back of the faux fur fabric and then cut from the back, trying to leave the long strands of fur. about 1/2 lb of doll making pellets, fish tank gravel, or small rocks. These will never be seen so you could also use rice, wheat, or anything you have on hand! 1. 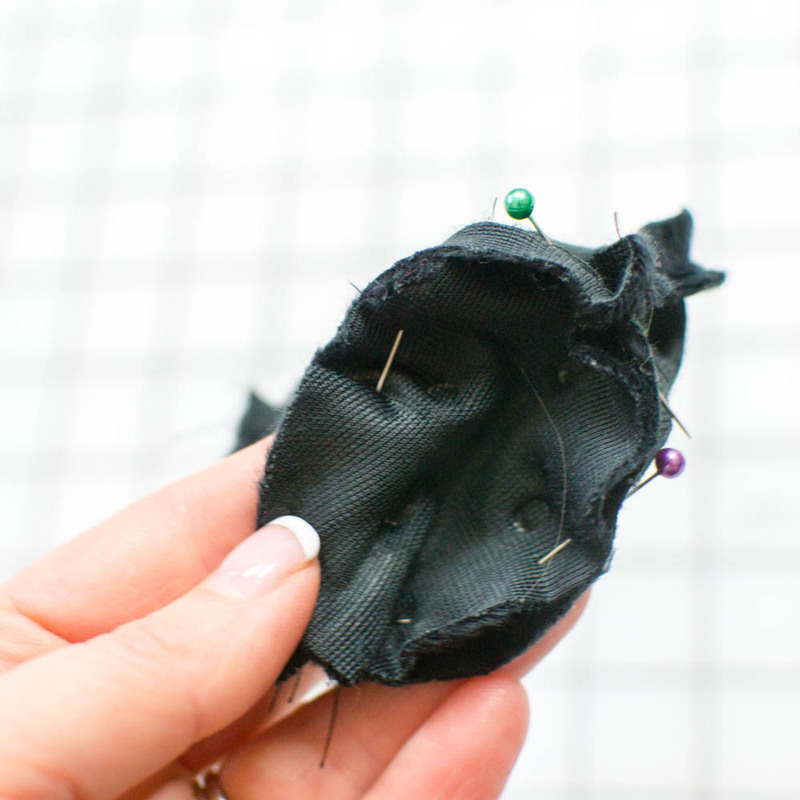 Place two boot pieces right sides together and pin along the curved edge. Stitch the curved edge. 2. Open each boot and pin the top straight edge to the bottom edge of a leg piece. The seam will be in the middle so the boot won’t lay flat. Sew the top of the boots to the bottom of the legs. 3. Fold each leg and boot with right sides together and the long back edges matching. Stitch. 4. Pin the boot bottom to each boot and stitch. Tip: If you don’t want to bother with a rounded boot bottom, you can skip the round piece and simply sew the bottom of the boot straight across. This method is faster, but the boots will not have the same round shape. 5. Use a chopstick or turning tool to turn the legs right side out. Stuff the feet with fiberfill (I didn’t stuff my legs so they would stay flat). 1. Sew the straight edge of each hand to the bottom edge of an arm piece. 2. Fold with the long edges right sides together. Stitch all the way around from the top of the arm to the ‘thumb’ on the hand. 3. Cut notches around the curves or trim with pinking shears. 4. Turn right sides out and stuff lightly with fiberfill. 1. Flatten the legs and pin them to one of the body pieces, using the markings on the body template as a guide. The seam should be in the center of each leg, facing up. The legs should be centered and 1 1/2’’ apart. 2. Sew the tops of the legs to the bottom of the body piece. 3. Place the second body piece on top, with both body pieces right sides together and pin. 4. Move the legs out of the way and stitch the curved sides. 5. Sew a row (or two) of long gathering stitches around the top of the body to close it up later. Don’t backstitch and leave long thread tails. You can use stronger thread here, if you wish - it’s a smart idea, even though I didn’t! Then sew with the bottom piece on the bottom. 1. Fold the hat triangle in half with the long edges together and stitch. 2. Fold the opening edge back 1/4’’ and press. Stitch. 3. 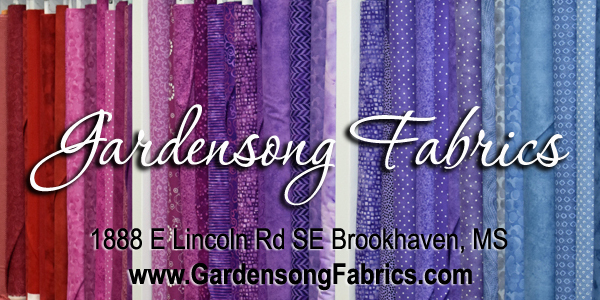 Hand or machine sew long gathering stitches around the oval of fabric cut for the nose - use strong thread! 4. Place a small amount of fiberfill in the center and pull the stitches until a oval shaped ball is formed. 5. Tie a knot to secure and trim the threads. 1. 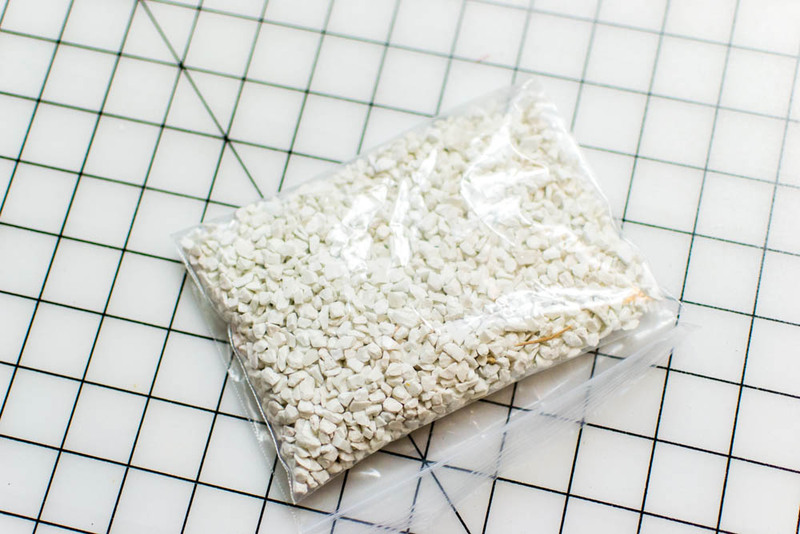 Place the pellets, fish tank gravel (what I used), or other weighting material in a zip lock bag. You can use as much or as little as you like - even none at all. I used about 1/2 lb, which is enough to help my guy sit firmly on the edge of a shelf with his legs hanging down. 2. Turn the body right side out and place the bag with the pellets or gravel in the bottom. Then stuff to desired firmness with fiberfill. Tip: leave 2-3’’ at the top without fiberfill so it will be easier to close up the opening. 3. Pull the gathering threads at the top to close the opening most of the way. Don’t worry about closing it up all the way because you might break your threads. You just don’t want fiberfill coming loose into the hat. Tie the threads and tuck them down in the hole. Note: The rest of our Gnome assembly can be done with hand sewing or hot glue. I chose to use hot glue because it’s faster. 4. Apply hot glue to the back of the rectangles of fur cut for the boot cuffs. Wrap them around the seam between the legs and boots. 5. Apply hot glue to the top edge of the beard. Glue the beard to the front of the gnome, about 2’’ away from the hole at the top. 6. Use hot glue to secure the tops of the arms to the gnome too at the side seams. 7. Prepare your wire piece for the hat (optional). I used two 12’’ pipe cleaners twisted together. Fold the top end down if it could poke a hole through the tip of the hat. The purpose of the wire is to make the hat bend and stay in cute positions. 8. Place the pipe cleaners or wire inside the hat along the seam. Hot glue the bottom end of the wire in place so it won’t shift around. I only glued my pipe cleaners in one spot - with the other end at the tip it wasn’t going anywhere. 9. Stuff the hat lightly with fiberfill, leaving the hat empty at the opening. 10. Place the hat over the gnome to see where you would like it to be. Then place some hot glue at the back and work your way around to the front, glueing the hat in place over the arms and beard about every inch or so. 11. Use hot glue to attach the nose. 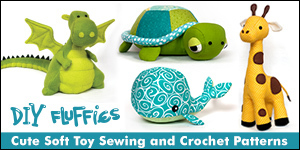 You might also like my list of Free & Fabulous Christmas Projects to Sew.